I'm not sure how we're seriously on week 30 of this year, hasn't that time flown? 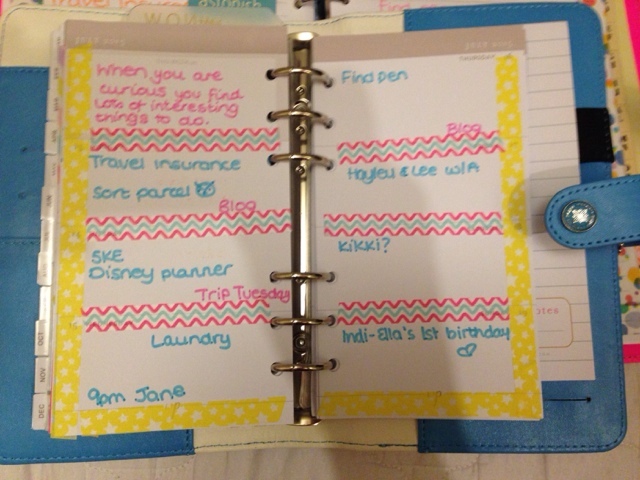 For this week, I've opted for different themes in both planners. My fluoro has a lovely Roald Dahl theme after I cracked open the scrapbook kit I bought from TK Maxx a while back. The tape was a bit fickle as it split once or twice but it looked so pretty I didn't mind. 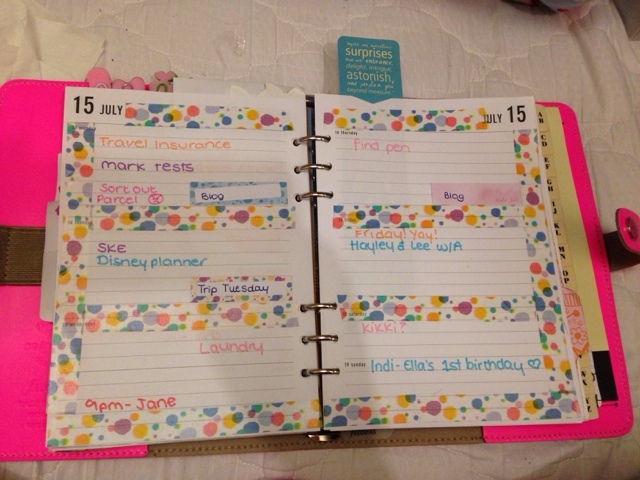 I just love those ink splodges, they make me so happy and let's face it, it's half the reason I decorate my weekly spread! 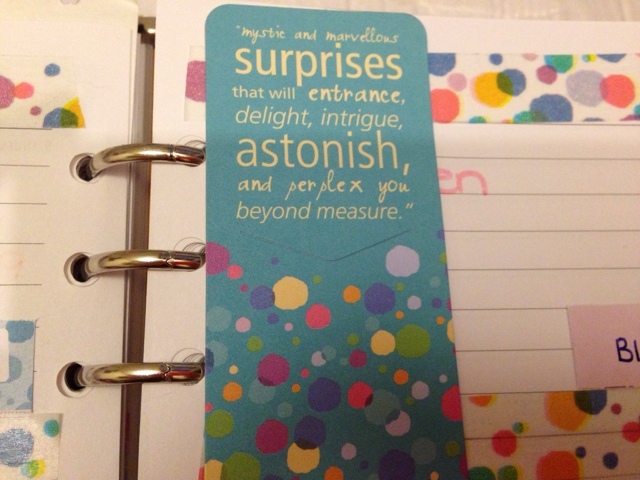 I just love the lovely quote on the page marker too! I see this as my challenge for the coming week. I used stars and chevrons for a great pop of colour in my color crush this week. It's bright and cheerful, just what a girl needs! So wherever you are and whatever you're doing, I hope you have a fantastic week!